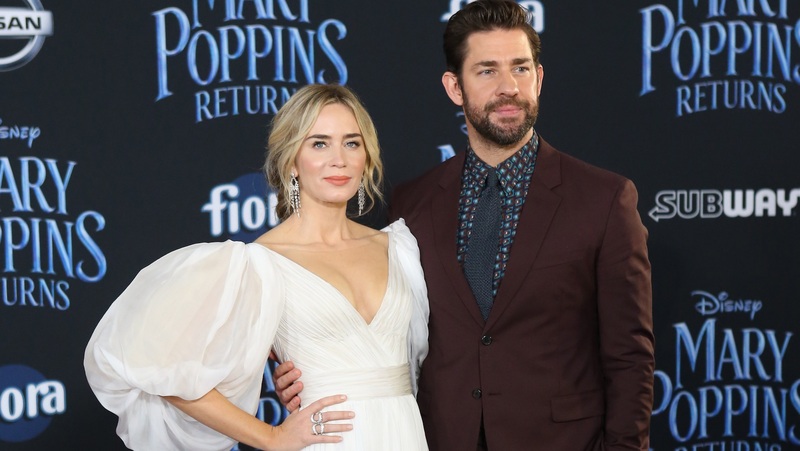 In case you needed any more convincing that John Krasinski and Emily Blunt are the love story we all need right now, consider this: The pair’s first date involved eating pizza at his apartment, and Blunt holds the story too dear to even discuss. The husband-and-wife duo opened up about their meet-cute during a rare joint interview with The Hollywood Reporter published on Tuesday. But, when conversation turns to specifics of their first official evening as a potential couple, Blunt gently pumps the brakes. “It’s so precious, I don’t want to talk about it. Is that all right?” she asked. She does, however, reveal who made the first moves — although that point is in cute contention between the pair. Semantics aside, Blunt and Krasinski were clearly a match. A decade of dating, eight years of marriage and two little girls later, the couple has become one of the most adored pairings in Hollywood. A large part of that likability lies in just how grounded they seem to be, as their humble pizza first date would suggest. And according to Blunt’s Mary Poppins director Rob Marshall, what you see really is what you get. This statement seems to be supported by the growing number of other celebrities who consider the couple to be close friends — think Matt Damon, Bradley Cooper, Jennifer Aniston, Jimmy Kimmel and Chris Pratt. In the couple’s own words, though, the secret to their successful marriage is that they love each other within the context of their relationship… but also as individuals.